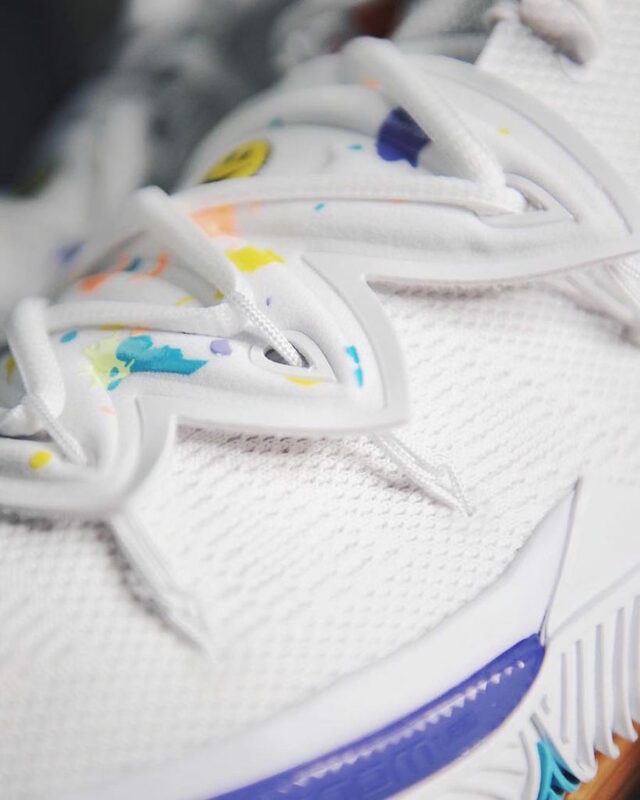 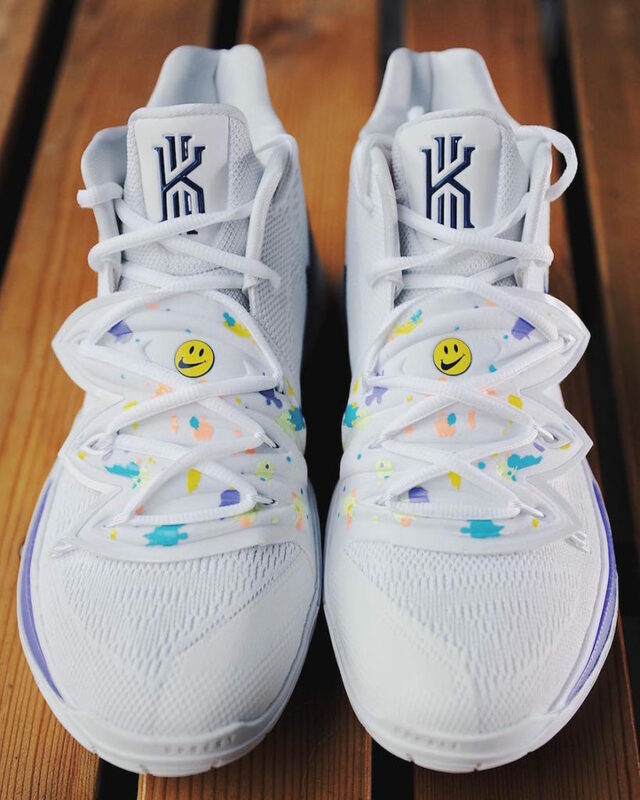 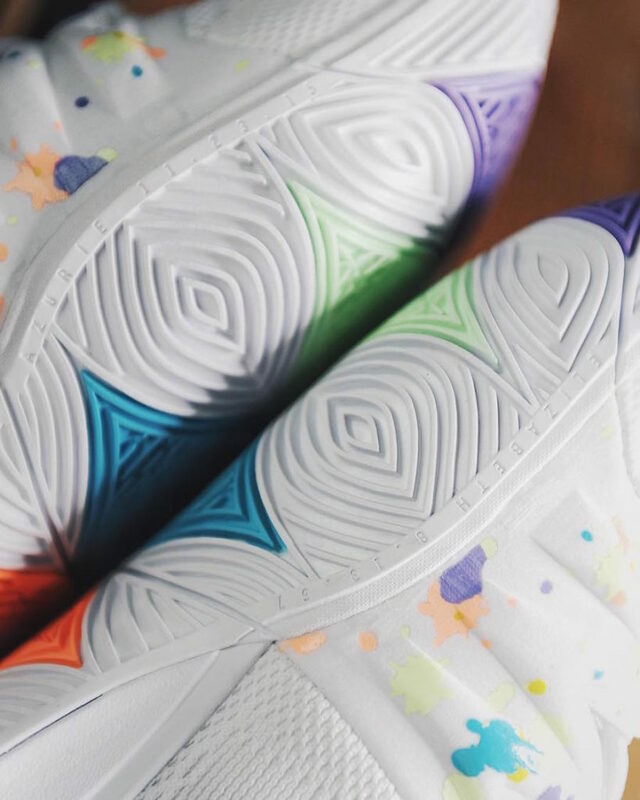 The famous ” Have A Nike Day” collection is getting bigger, the Swoosh Brand is including its new Kyrie Irving’s Nike Kyrie 5 silhouette. 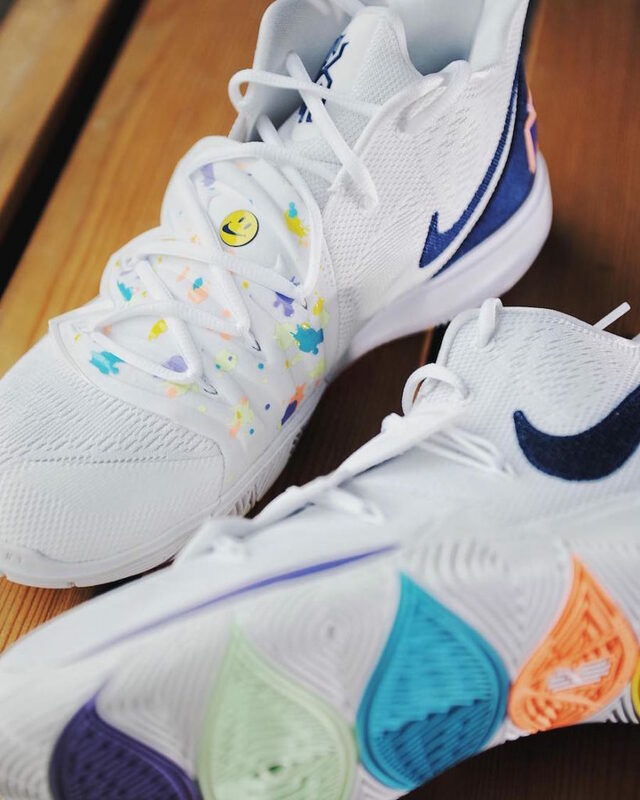 This design features a clean white upper, while the Swoosh logos and the heel overlay are done up in a denim-like material. 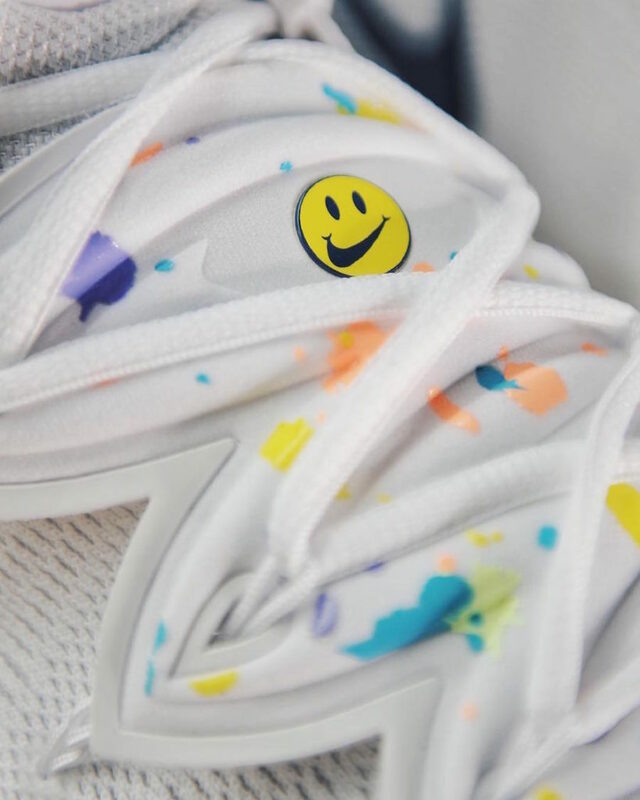 A unique detail includes the splashed colors on the laces with Nike’s Smiley face logo. 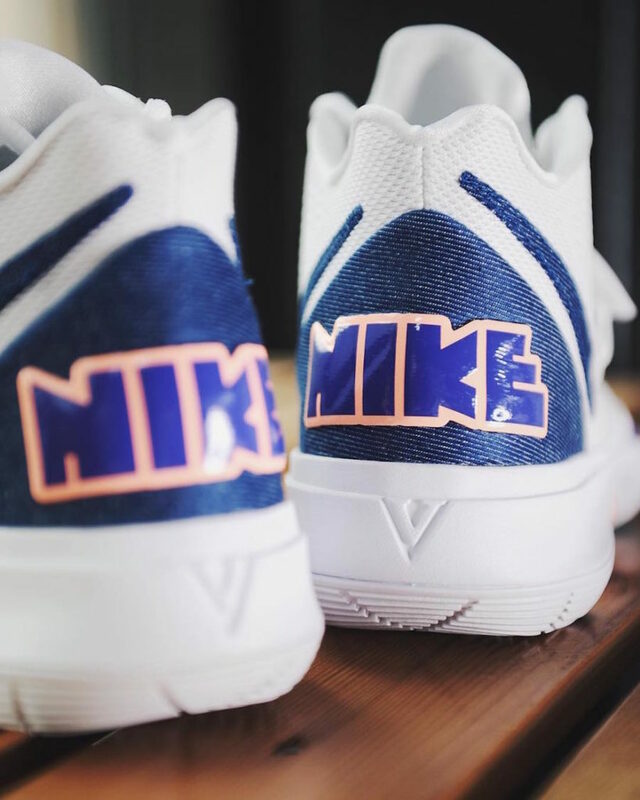 A blue Nike logo is seen on the heel and a multicolored rubber outsole finishes off this look. 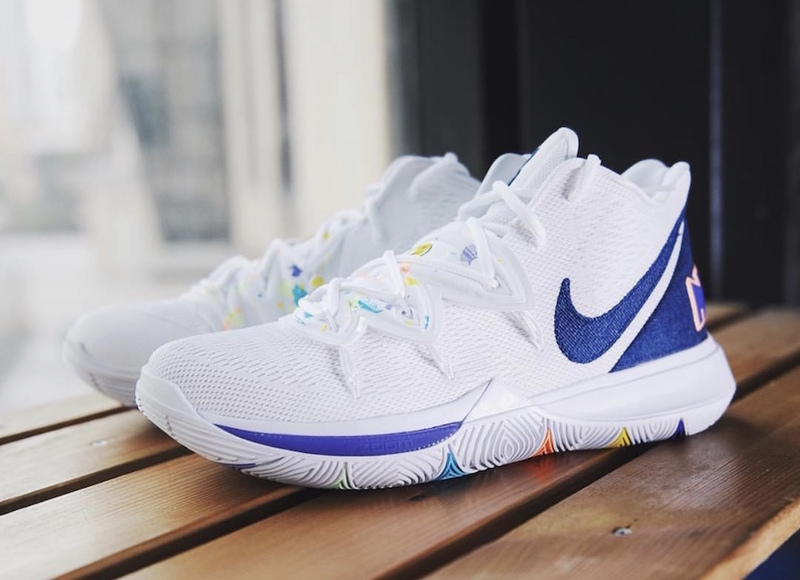 Wait for this Nike Kyrie 5 ” Have A Nike Day” to arrive on April 20th at select authorized retailers and Nike Store Online. 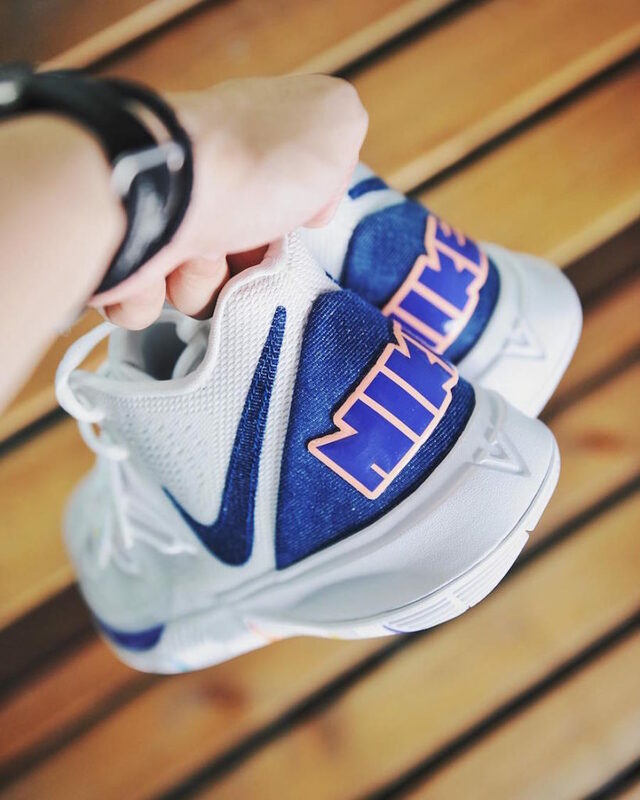 Check out more detailed images below and grab pair for yourself, retailing for $130 USD.